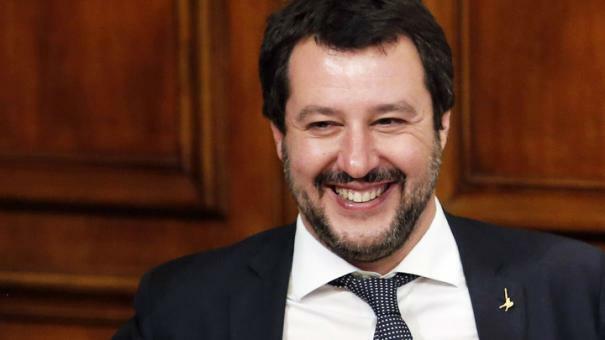 The Italian Interior Minister Matteo Salvini has the largest camp in Europe with illegal migrants, located in the Sicilian Mineo near Catania, vacate. The reception center, which had recently been negatively affected by sprawling drug activity, currently accommodates around 1,200 migrants. Salvini had recently announced as a general line to dissolve larger refugee facilities. The first 50 asylum seekers, who are leaving the facility in Mineo and are to be housed in Syracuse, Ragusa and Trapani, are mostly from Bangladesh. By the end of the month, another 100 migrants are expected to leave the camp, which according to Salvini will be closed by the end of 2019. The camp has been making headlines recently because of drug trafficking. 19 people, mostly Nigerians, were arrested at the end of January. According to the investigators, they belonged to an extensive dealer ring, which supplied the largest Sicilian cities with drugs. The prosecutor of Catania, Carmelo Zuccaro, said in this context that the refugee camp of Mineo had become a "threat to public safety". Interior Minister Salvini did not want to be told twice and then made Mineo a top priority - he wanted to "create order in Italy," he said.